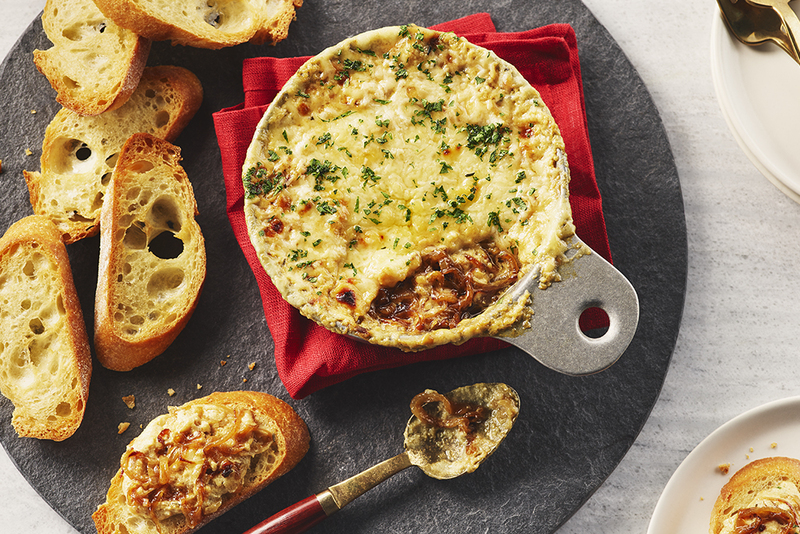 This creamy and rich dip is a hit at any party. Fresh onions cook down to give this dip the sweetest flavor, far superior to any powdered soup mix. Preheat oven to 350°F (180°C). Lightly oil a 2 qt (1.9 L) baking dish or coat with nonstick spray. Melt butter in a large skillet over medium high heat. Add onions, garlic and thyme; season with salt and hot mustard powder. Cook, stirring occasionally, until the onions are very soft and caramelized, about 25 minutes. 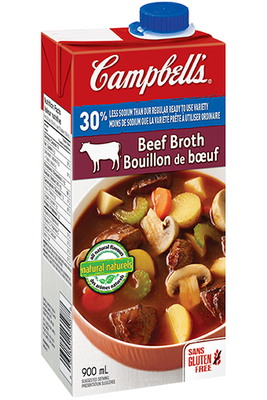 Stir in beef broth and red wine or sherry, if using. Bring to a simmer; remove from heat and stir in cream cheese, sour cream and half of the Gruyere or Swiss. Spread mixture into the prepared baking dish; sprinkle with remaining 1/2 cup Gruyere. Place into oven and bake until bubbly and golden, about 10-12 minutes. Sprinkle with parsley or chives and serve immediately with sliced toasted baguette.